Round eggs are so…old hat. Why not make them square? 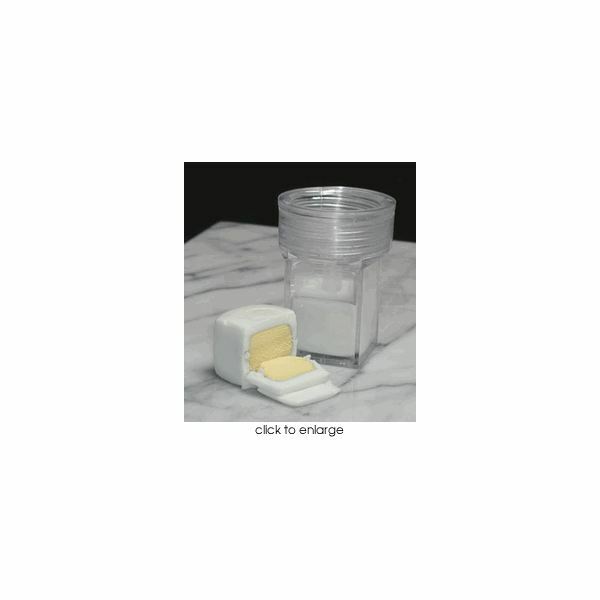 The Chickenborg egg cuber does just that, making hard boiled eggs in a square shape. Yes, even the yolks come out square (or rather, rectangular). Stack a bunch of these eggs at your next dinner party, make deviled eggs that actually stay in one place, or let your kids enjoy one as an entertaining gadget. These unique kitchen gadgets are most popular around Easter time, and they make an interesting alternative to dying eggs. Note: You can only make two square eggs at a time in it, so give yourself plenty of time to boil those 100 eggs you need for your next party. Buy it on Amazon for only $6.35. There's nothing like fresh corn on the cob, unless it's fresh corn off the cob. Although there have been other devices out there that can remove fresh corn from an ear, this is the only gadget out there that catches the corn as well. Best of all, it's shaped like a computer mouse, which makes it a great conversation piece. Use it to cut some corn off the cob for small children as well. Buy it for under $13 at Amazon. This product also made it onto our list of 7 Cool Kitchen Gadgets. This gag gift doubles as a unique kitchen gadget. 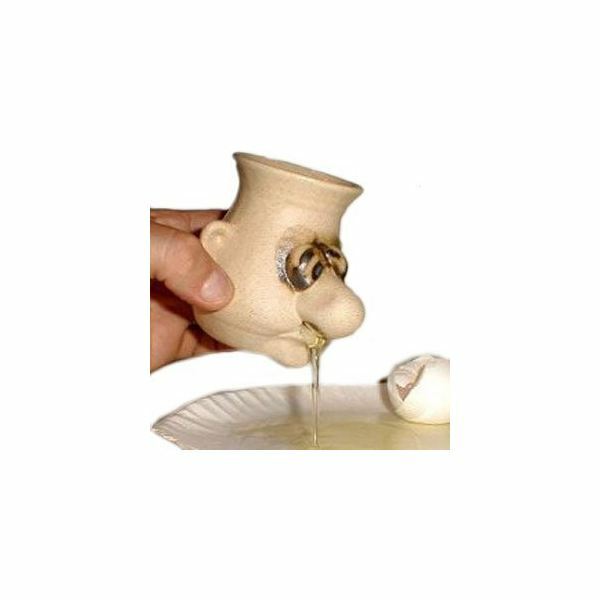 Shaped like a face, the Snot-A-Mug lets the egg white drip out (of the nose) while containing the egg yolk. Not a great kitchen gadget to buy for Grandma, but a fun one to buy for a friend with a good sense of humor. Buy it for under $15 on Amazon. For other humorous products, check out Top 10 Funny Kitchen Gadgets. Sure, most people enjoy chomping their own cherries and spitting out of the seeds. But this Cherry Chomper does the work for you, removing the pits from as many cherries as you need. Perfect for making cherry pies or for giving a young child some cherries to eat, without all the hassle. The unusual gadget makes a good conversation piece as well, since it looks just like its name implies. Buy it for under $10 on Amazon. Everyone today seems so busy, like they're always driving off to somewhere. So what do you do when you're on the road and wishing you could grill a burger to eat? The Iranian design team who created the exhaust burger wondered just that. 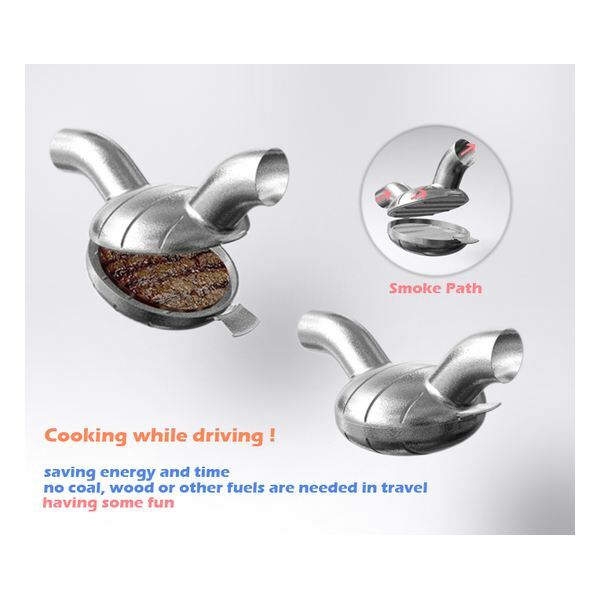 They created a metal hamburger maker that attaches to your car's exhaust pipe. You can just stop the car, install the device, and drive off to cook your burger. And don't worry, the caddy holding the hamburger is sealed tight, so that only heat is transferred. These unique kitchen gadgets make great gifts and interesting conversation pieces for your home.